The post Clockwork Dynasty appeared first on Tribal College Journal of American Indian Higher Education. As this issue was going to press, our hearts skipped a beat when the computer that we use to design the magazine suddenly and without warning crashed. The post It Can Take Courage to Make Simple Changes appeared first on Tribal College Journal of American Indian Higher Education. Elders offer us not only a window into the past, but a roadmap for how we can live in the present moment and move forward into the future. The post The Deep Wisdom of the Elders appeared first on Tribal College Journal of American Indian Higher Education. Turtle Mountain Community College (TMCC) recently sponsored an interactive exercise and gathering on the American Indian experience entitled, “Roots of Injustice, Seeds of Change.” The gathering brought together multiple generations from the Turtle Mountain community to share the legacy of the boarding schools. The post Elders’ Experiences Highlight Boarding Schools Gathering appeared first on Tribal College Journal of American Indian Higher Education. Preparing children for college starts at birth. But the American Indian College Fund realized that a one-size-fits-all approach to education does not work for Native children. The post American Indian College Fund Initiatives Transform Early Childhood Education appeared first on Tribal College Journal of American Indian Higher Education. Dr. Paul F. Trebian has been named president of the College of Menominee Nation (CMN). The announcement by the college’s board of trustees follows a 14-month national search that attracted candidates from across the country. The post Paul Trebian Named President at CMN appeared first on Tribal College Journal of American Indian Higher Education. Indigenous knowing is innate, the essential belonging and knowing cannot and should not be defined, it just is. The post Science Community Looks to Indigenous Knowledge for Answers, Students appeared first on Tribal College Journal of American Indian Higher Education. Bay Mills Community College owns the 40-acre property. It’s developed as a teaching, research and incubator facility focused on sustainable agriculture and food production. The post Farm Provides Seeds, Education appeared first on Tribal College Journal of American Indian Higher Education. The LLTC coach takes a great deal of pride in his players’ academic achievements, as well as their accomplishments on the court. The post Ojibwe Hoops on the Rise: Tribal College Provides Opportunity Via Hoops appeared first on Tribal College Journal of American Indian Higher Education. Tribal College Journal has announced that Scarlett Cortez of the Institute of American Indian Arts (IAIA) will serve as the next blogger at TCJStudent.org. The post Scarlett Cortez of the Institute of American Indian Arts Named TCJ Student Blogger appeared first on Tribal College Journal of American Indian Higher Education. Salish Kootenai College will host their Annual Spring Powwow and Graduate Honoring on May 11 and 12 with Grand Entries starting at 7 p.m. The post Salish Kootenai College Spring Powwow and Graduate Honoring Set for May 11, 12 appeared first on Tribal College Journal of American Indian Higher Education. The run, which takes place in front of Sakakawea Hall, offers races for competitors from half-marathon runners to a kids’ fun run. The post UTTC to Host Thunderbird Run appeared first on Tribal College Journal of American Indian Higher Education. Rural colleges have always had trouble attracting instructors in most disciplines, but the outlook is particularly bleak in vocational programs. The post ‘The Lack of Faculty is Going to Kill Our Rural Schools’ appeared first on Tribal College Journal of American Indian Higher Education. The Agriculture Department’s National Institute of Food and Agriculture director Sonny Ramaswamy has announced that he will leave his post next month. The post Sonny Ramaswamy to Leave Agriculture’s NIFA Director Post; Will Take Over as CEO of Northwest Commission on Colleges and Universities appeared first on Tribal College Journal of American Indian Higher Education. The mission of the Bridge Program is to provide opportunities for students from Haskell Indian Nations University to transition to other four-year universities, increasing the number of students who complete degrees in the biomedical sciences. The post Turney Taking “Bridge” from Haskell to KU to Medical School appeared first on Tribal College Journal of American Indian Higher Education. The post St. Francis Indian School and Sinte Gleska Collaborate on Traditional Buffalo Kill appeared first on Tribal College Journal of American Indian Higher Education. What began as a way to offset the loss of student loans will now become a permanent fixture at United Tribes Technical College. The post UTTC Makes Tuition Waiver Permanent appeared first on Tribal College Journal of American Indian Higher Education. Institute of American Indian Arts (IAIA) cinematic arts and technology faculty member, Peter M. Kershaw, along with his production company, Duchy Parade Films, LLC, have put together a production plan for a contemporary feature film which will be filmed in New Mexico. The post IAIA to Partner with Film Production Company on New Feature Film appeared first on Tribal College Journal of American Indian Higher Education. 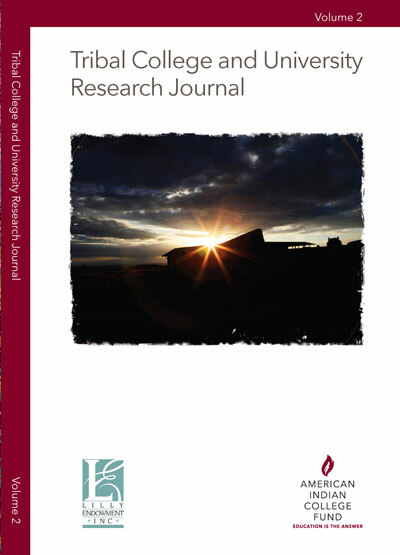 The post American Indian College Fund Releases New Volume of <em>Tribal College and University Research Journal</em> appeared first on Tribal College Journal of American Indian Higher Education. Due to low recruitment, KBOCC wanted a way to help bring students to campus and help out U.P. businesses that need to fill jobs. The post KBOCC Hosts First Ever Career Fair for College Recruitment, Job Fulfillment appeared first on Tribal College Journal of American Indian Higher Education.